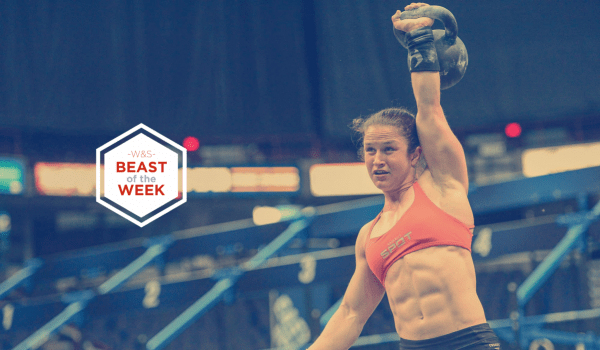 We have decided to create a new section on our website called “Beast of the week”. The concept is to feature athletes that are making a killing in their respective discipline and we believe are worth talking about. We will through the year feature different athletes from different sports and ask them questions about them, their motivations and the key to their success. Our goal is for our readers to know how their favorite athletes manage to get to the top level. 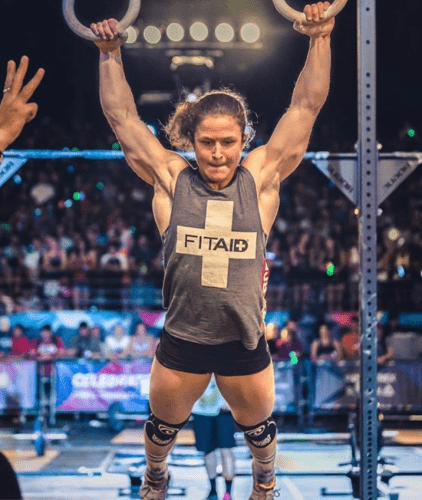 For our first post, we decided to reach out to Karissa Pearce who caught the world by surprise in 2016 when she managed to finish 5th during the CrossFit Games. I was a gymnast for 18 years. My parents signed my sister up for gymnastics and thought that it would be good for me to join. They also introduced me to many other sports but all I wanted to do was gymnastics from the age of 3 on.I finished up my career at the University of Michigan on the Varsity Gymnastics Team. After graduating, I did a strength and conditioning internship and picked up weightlifting. After facing a couple injuries, I switched over to bodybuilding and did a physique show. That sport wasn’t for me, so I decided to do a powerlifting competition. During all of this, there were quite a few people who had talked about CrossFit but I never really looked much into it. One day when I was at the gym, the Games were on ESPN and it caught my eye. I laid on the gym floor and watched with enthusiasm and pictured myself competing with those other strong women. The owner of CrossFit SPOT, Billy De LaRosa, contacted me to talk about coaching for him. After my powerlifting meet in November of 2014, I began training for CrossFit. Now I wonder why I didn’t do it sooner! CrossFit is a huge influence in my life. It makes me want to live a healthy life and just be the best I can be. I love that it challenges you daily, not only physically, but also mentally. My daily routine switches depending on what day it is. Monday and Wednesday, I do two a day sessions. The first session is strength training followed by a met con. The second session is either another met con, gymnastics work, or a longer endurance piece. For these days, I wake up and eat breakfast then head to the gym about an hour later. After my session, I will come home and eat, answer emails, or run errands. Then I will head back to the gym for my second session. Tuesday, Thursday, and Saturday are mainly weightlifting days but include a met con at the end of the session. I coach early mornings Tuesday and Thursday, so I eat breakfast when I have a break. This is two hours before my training session. On Tuesday, I also see Dr. Park who performs active release technique on me. Recently he has been focusing on my Achilles because it was injured but is feeling much better. I am the best at strict gymnastics movements. Any workout that has a mix of handstand walks, strict muscle ups, or strict handstand push ups are my best. I do enjoy deadlifts, snatches, burpees (yes I did say burpees), GHDs, and bench press! My inspirations in life are my parents because I know how much they had to work and give up to raise three kids. I really appreciate everything they have done for me. My inspirations in the CrossFit community are all of the other competitors. There isn’t one person in specific that sticks out because I know everyone has to work so hard to be where they are at. 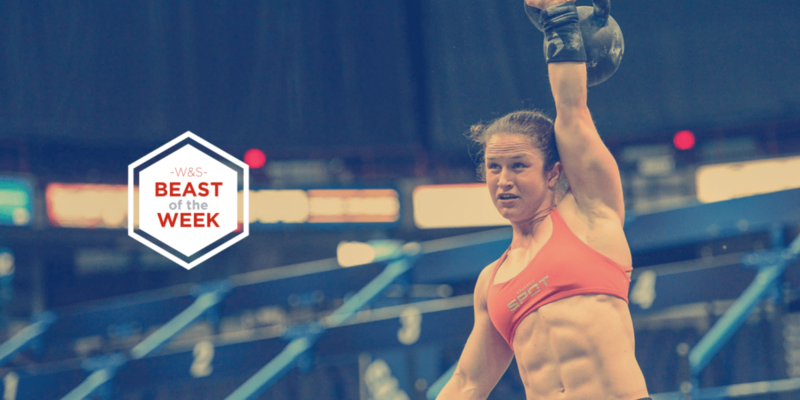 6- Tell us why CrossFit Spot is the best gym for you? I found CrossFit because the owner of CrossFit SPOT, Billy DeLaRosa, contacted me about coaching for him. At the time I was personal training at a commercial gym and doing powerlifting. I enjoyed it but still wanted something more. 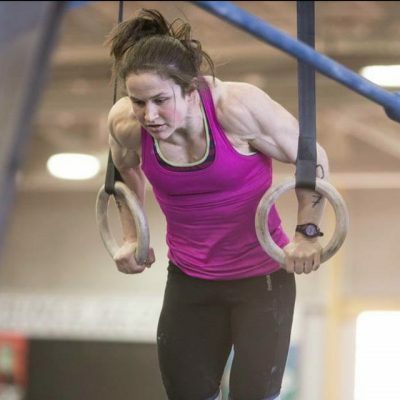 After watching the CrossFit Games on ESPN, I was very interested. CrossFit SPOT is where I started and thats where I found my coach, Mike Varrato. It is where I have been training for the past two Games. I would have to say, so far, so good. 7- What should we expect from Kari Pearce in 2017? I have been working a lot on getting stronger and my weightlifting technique which has been a weakness. It is going to show during the season this year. You should expect me to move up to that podium this year! 8- What is your objective at this years games? My objective this year at the games is to earn myself a spot on the podium. 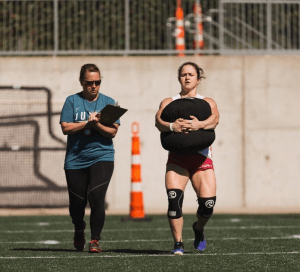 One thing that I wish I knew when I started CrossFit was to keep an open mind. Some of the movements and workouts are very intimidating. With time and hard work, they will begin to seem more doable. Sky is the limit! If you think your workout is intense, we trully recommend you watch this short 4 minutes clip of Kari absolutely destroying the gym. Enjoy and see you next week!